Petra Masonry is a growing company dedicated to serving our customers with quality stone, brick and block work. We have experience with both natural stone and manufactured materials. Be it residential or commercial, large or small, we look forward to working with you on your next project. Our commitment to customer satisfaction is one of our main priorities at Petra Masonry. We understand that people are investing their hard-earned money to improve the quality of their home or business and entrusting us to provide that quality. Our goal at the end of the day is to have happy customers who we can continue to do business with. 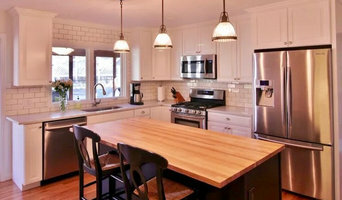 Benchmark Custom Home Builders, Inc. has been making dream come true over 21+ years. Building new homes in harmony with desirable established neighborhoods in St. Louis and more. Our roots are planted in Kirkwood, Missouri, but we build in all of the prime St. Louis neighborhoods including Clayton, Ladue, Crestwood, Des Peres, Fenton, Ellisville, Ballwin, Manchester, Wildwood, Kirkwood, Frontenac, Glendale, Sunset Hills, Town & Country, University City, Webster Groves and Jefferson County. We have the finest reputation for providing exceptional homes with outstanding customer service, using quality materials and creative designs that transcend time. It is an approach that delivers quality custom homes, in the most desired areas of St. Louis County, Missouri, for a great price! 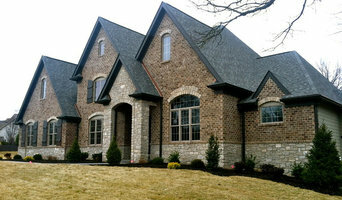 Schei Home Building Company, Inc., is honored to be of service to the entire St. Louis metro area. 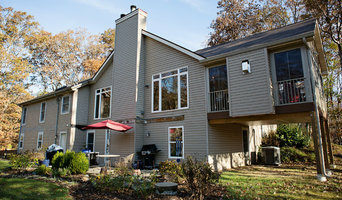 We have built numerous custom homes and completed many remodeling projects in St. Louis City and St. Louis Counties. No detail is unimportant as we strive to answer every question you may have. We are committed to working as a team with you throughout every aspect of your project and we guarantee to provide a customer experience that is unmatched in the industry! We are a family owned company that has 35 years experience in this industry and would love to have the opportunity to share our knowledge base with you and your family. Offering a variety of services, we believe in getting to know our customers' personality and style. If you are seeking a company to build a new custom home that you can call your very own, or remodel an existing space that will complete your family; we would be honored to have the opportunity to meet with you for a free consultation. Home should be your favorite place. It should be the place you adore. It should help you live your life, give you comfort, and inspire you to look at your whole world in a different way. A great space — a wonderful home, isn’t just a place you love. It’s a place that loves you back. How you feel about your home is important. Does it welcome you and your family and friends? Is it an extension of who you are? Does it give you pride? Does it work for you or do you work for it? HomeMatters Alliance helps you answer these questions by giving you a new perspective on your space. We ask the right questions to help you find real solutions — cost-effective results that please your eyes while improving the way you live. We pride ourselves on delivering a finished space that is better than you had imagined, with the kinds of touches that reflect the unique character you and your family share with the world. 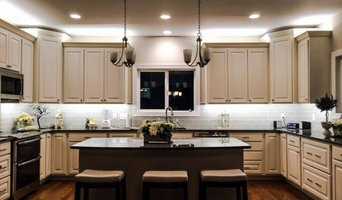 Whether you want to remodel your home and give it a facelift, to build a new home or to do a much needed improvement, HomeMatters Alliance is here to help you capture your ideas and create your ideal space. We view our relationship with you as a trusted advisor, realizing that the decisions we make together will affect you and your family for generations to come. Your dreams matter. You and your family matter. Your home matters. Eco-Conscious Landscape Design/Build & Maintenance. We offer professional design consultations, landscaping and maintenance, environmentally friendly options, and money-saving solutions. You can't beat our curated selection of plants and materials, and we stand behind our award-winning work. The quality service and expert landscaping design you receive from Quiet Village will surpass all of your expectations. We excel in client relationships by providing a personalized design experience that allows our clients to be involved in every step of the process from design to installation. 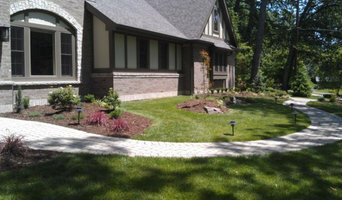 We look forward to working with you in providing first-rate landscaping design and quality client services.